After finishing 16th in her debut at the games in London, Ashley Moolman-Pasio had gotten an insight on what she needed to do and what it would take for her to win an Olympic gold. With her performance four years ago at the games, she had seen that if she planned to bag the gold medal which she badly desires, she would have to put more effort and practice even harder. The fast approaching women road race in Rio has caused the cyclist to put that knowledge into use as she is training even harder and aiming for the Olympic gold medal. With some of the strongest midseason performance the world of women cycling has ever seen, Pasio had shot the very front line of women’s cycling during the intervening period and had secured her name as one of the favorites to look out for in the race. Norwegian rider Alexander Kristoff has reportedly won all the stages of the eminent De Panne 3 Day stage race. The champion is in the full form right now as he gears up to score big in the historic Monument race Tour Flanders. The Katusha rider impressed everybody by winning 3 stages on a row among 4 stages with British riding icon Sir Wiggins claiming last short time-trial around Le Panne sea-stretch, in Belgium. Alexander is one among the topmost favorites of Flanders Tour, which is the 2nd of 5 Monument classic races this season. It is especially true given the unfortunate absence of Flanders specialists like Fabian Cancellara & Tom Boonen. Cancellara has been ruled out of the historic race with two fractured vertebrae & Tom is nursing his dislocated shoulder. Thus, the Flanders track wide open to compete and score big for the new favorites such as the in-form Katusha star. Albeit Kristoff was the first ever rider to win 3 stages on a row at De Panne yet a photo-finish was needed to confirm result. The Norwegian star beat Lotto-Soudal’s Andre Greipel in the final sprint & the photo evidence confirmed that he came up with 3/1000th of 1 second ahead, emerging as the winner. While Greipel was second, Lampre-Merida’s Italyâ�Ös Sacha was 3rd. In the 19th and 18th century, the only places where cycling apparel were produced was the continent. Cycling clothing in Britain was facing what you call an identity crisis but still existed. A simple search in Google showed that just like the fashion world of today, fashion has always existed in the cycling world too; be it for a pro or a newbie rider. There have been experiments with colours though when the world saw Bernard Hinault ride wearing Peugeot checks or block colours of La Vie Claire that was inspired by Mondrian. The team of Brooklyn Chewing Gum clad in red, white and blue only visible at the back of Roger de Vlaeminck. A lot of other manufacturers fell into the trend of creating neon, text overloaded costumes or even the colour splashed ones. Britan wasn’t completely pretentious about representing this period as they saw Caratti and Lusso who were very proud of their creations. Caratti was the first to import brands of Italy like De Marchi, Castelli, Sidi and Colnago but slowly went towards creating their own line of clothes. In the late nineties, Caratti disappeared for some time only to come out the next year with a whole new collection. Former cyclist John Harrison launched Lusso in 1982 but at first he and his wife only had the intent of making cycling shorts that were decent but comfortable and didn’t cost very much either. Being one of the few British manufacturers remaining from that era, he can account for all the changes that have come about since the eighties. He says that 30 years ago, people laughed at the very idea of cakes and coffee being sold at a bike shop but today the competition is way too strong than it was back then but the plus side is that now they only have the European brands to compete with. It’s a great time for the GB squad no doubt- Owain Doull has made his team proud once again with the most cherished gold medal at UCI World Tarck Cycling Championship 2013 scratch race held at Mexico. The gold came on the 2nd day of the esteemed championship. The 20-year-old dapper Welshman had to beat King Cheung (Hong Kong) to make his way up to the gold honor. Apart from Doull, the other GB members too proved their worth at the recent UCI World Championship. Jason Kenny, the Brit Olympic champion went on to win sprint silver at the Worlds. Kenny’s famous gold winner girlfriend Laura Trott came up 2nd in ominum . Trott was, however, absent at the Worlds on its first day. Trott’s absence had Elinor Barker teaming up with Joanna Rowsell, Katie Archibald & Dani King who altogether broke the team pursuit world record & that too twice. Becky James, the two-times world champion and one of the sprint members from GB, rode away with the bronze medal in Keirin. The Abergavenny based rider came third to Kristina Vogel & Wai Lee. Elinor Barker claimed the silver medal with second position at individual pursuit. The 19 year old rider set the record of personal best regarding individual pursuit race where she qualified of 3 minutes 30.009 secs before losing out to Australia’s Rebecca Wiasak. Records got tumbled with high altitude & 25 year old Kenny wowed his team and country with a much improvised showmanship in individual sprint in comparison to his lost out fate in qualifying rounds during last season’s Manchester hosted World Cup. Francois Pervis from France set up a fresh world record by qualifying with the time limit of 9.347 yet it was Australia’s Glaetzer who got away with the gold in finale race with 2-0 win against Kenny. The entire sports fraternity especially the world of road cycle racing has been waiting for some more decisive action regarding cases of doping after the scandal of Lance Amstrong. But since then there has been no such action taken by the UCI and this has made the US Anti-Doping Agency Head Travis Tygart upset. He said in a recent interaction with the media that the agency has done their job. The officials have submitted the report seven months ago and still UCI has not taken any action against the doping cases as per Tygart. He was recently present at a meeting with sports officials of the European Union in Brussels. Pat McQuaid, the UCI President was also present in the meeting. Tygart added that UCI should take strict action against the pending doping cases for the sake of all the sportsmen who posses Olympic values and cherish the fair play attitude. These honest and passionate players deserve more and it can only be achieved by taking decisive action against the rule violators. He also termed the decision by the Spanish judges about the Operacion Puerto case of blood doping as an obvious setback. The Spanish judges earlier have made a decision to obliterate the bags of blood in the case of blood doping. In news from the other side of the cycling world, defending champion Ryder Hesjedal ha to quit from the Giro d’italia due to severe illness. Sir Bradley Wiggins also withdrew with a chest infection. Wiggins was at the 13th place in the race when he retired. Vincenzo Nibali maintained his complete lead in the race and Rigoberto from Sky was at the 3rd place with 2.04 behind the leader. 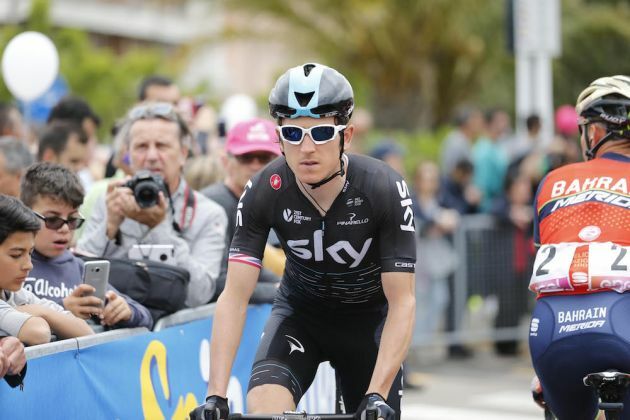 The race covered the longest course on Friday through Busseto up till Cherasco and finally scaling through the Sestriere hilly areas on Saturday. Sunday will witness the riders going through the Col du Galibier and finally race will end after reaching Brescia on May 26. The Punter 10th July – Will Haye KO Chisora? Is Bradley Wiggins a cycling cert?